With spring break underway and summer on the horizon, travel lovers are planning their next big adventure. 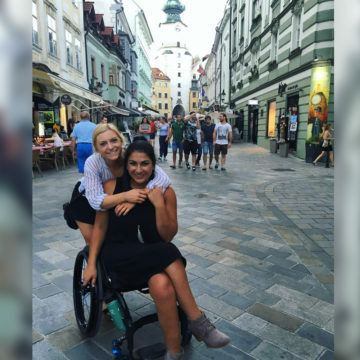 Craig Grad, Alysia Kezerian shares her experience traveling around Europe after her spinal cord injury. 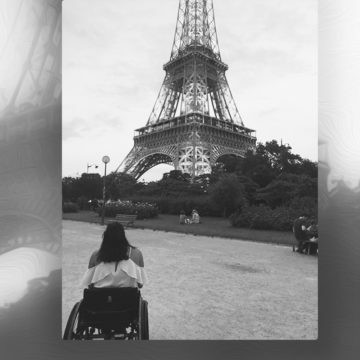 Follow along over the next month as she shares her story in a four-part travel blog series "Wheelies Around the World." After being home for a few months now, I FINALLY have the time to record all of my thoughts regarding my travels abroad. This will be the first of a four-part series that I will release because there is just too much I have to say for one entire post! When I was at Craig, I didn't notice that I was different because I was surrounded by people in wheelchairs. However, my uniqueness was so much more obvious when I returned home. It's a weird feeling to be in a room full of people who are all the same and you stick out like a sore thumb. Now imagine that feeling, take it with you about 9,000 miles away where there seem to be zero people in wheelchairs, almost nothing is easily accessible, and you’re surrounded by people who are extremely confused when they see you. It’s a weird feeling, but certainly not a bad one. 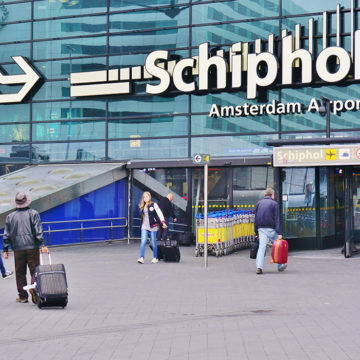 How bad can anything really be when you are traveling through Europe? I touched down in Vienna early in the morning, nervous to take on Europe in a wheelchair and even more nervous to meet the students in my program. I was afraid people would try to avoid me because they might see me as a burden like, “Ugh, we’re probably going to have to help this girl out with everything.” I tried my best to seem as self-sufficient as possible, even if that meant carrying my two bags on my lap through cobblestoned streets to reach our classroom. But, in my first meeting with everyone, those fears were quickly erased. Everyone was SO nice and treated me like a normal person. Within a few hours, girls I had never met before this program invited me to accompany them on a weekend trip to Paris, and a few guys I knew only a little bit immediately became my close friends. It was all coming together more perfectly than I could have ever imagined. Our apartments were located a bit of a ways away from the classroom so we needed to use public transportation to get there. With a quick wheelie up and a little push from one of the guys, I was up on my first Viennese street car. That would be our commute each day. When we arrived at the apartments, all my fears about my living situation were quickly erased, as well. Our site director, Karin, set me up with a completely accessible apartment room. I was so relieved, I almost started crying. Each day I would wake up in my perfect little apartment, walk to the underground station with my new friends, attend a class, grab lunch with everyone, and then go on some sort of excursion. It was perfect. All of it. The people. The program. The city. I couldn’t have asked for a better experience. I didn’t care that I was in a wheelchair, or that things would be a bit more difficult for me, here and there. I didn’t care about my occasional nerve pain or back pain, or any of that. I was in Europe and nothing was going to stop me from having the best time. Sometimes when we experience adversity, it is difficult to continue to be thankful for the things that we still have in our lives. Sometimes people get so clouded by their grief or anger that they can’t see all the good that is still in front of them. No matter what physical state I am in, being able to travel through Europe still makes me such a lucky girl, and even in my lower moments, I never forgot that. Stay tuned for part two of Wheelies Around the World next week!